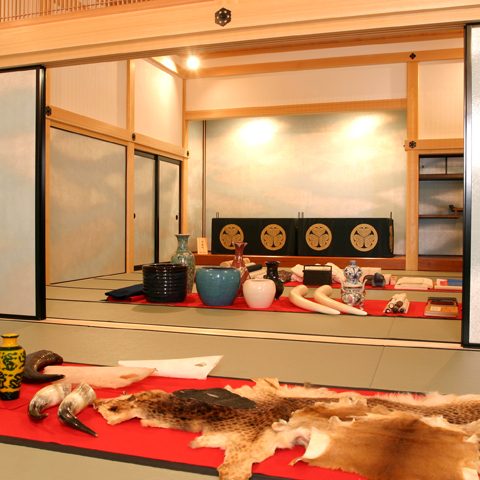 Come and spend meaningful time learning about the history and culture of Nagasaki. 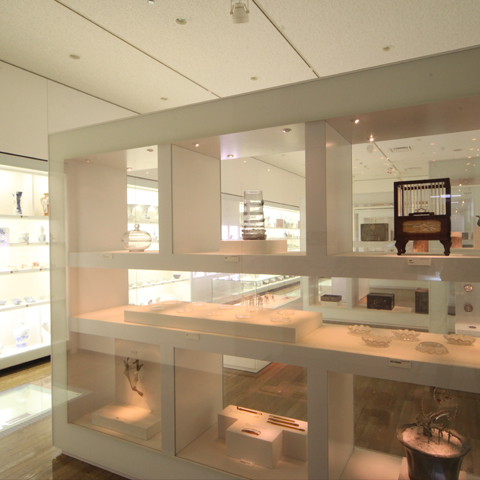 ※Temporary exhibitions require a separate admission fee. ※Elementary and Junior High students from Nagasaki Prefecture are admitted free of charge. ※Exhibition rooms may also be closed due to periodic maintenance. Nagasaki Museum of History and Culture is one of the few museums in Japan dedicated to the history of international exchange. 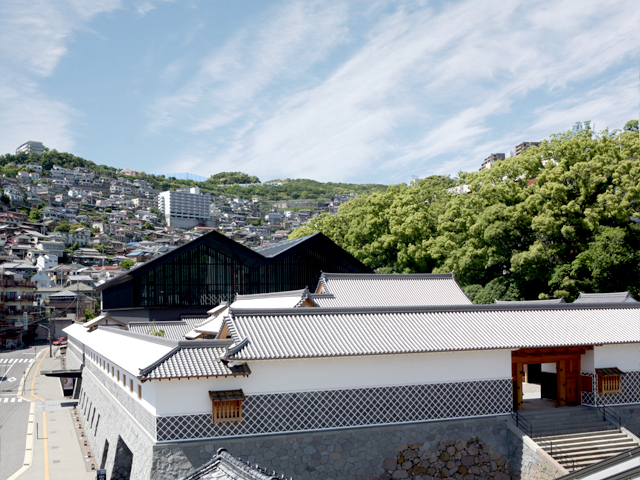 The Museum holds approximately 81,000 objects in its precious collection, including historical documents, art and craftworks that tell the story of Nagasaki, the sole window open to foreign countries during the period of Japan’s national isolation. In addition, part of the Nagasaki Magistrate's Office (a local agency of the central government in the Edo period) has been faithfully reconstructed based on historical materials, allowing visitors to immerse themselves in the atmosphere of feudal Japan. 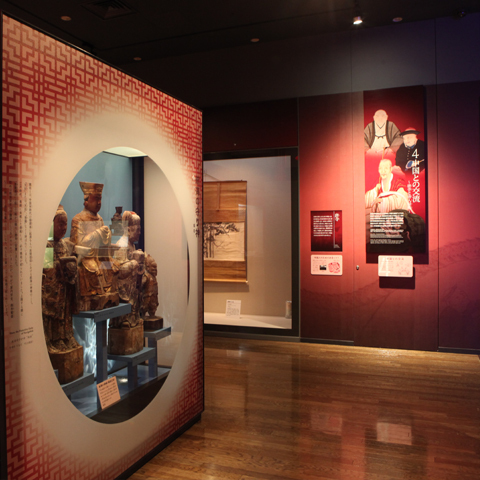 The exhibits are displayed to ensure an instructive and enjoyable experience. Come and spend meaningful time learning about the history and culture of Nagasaki. 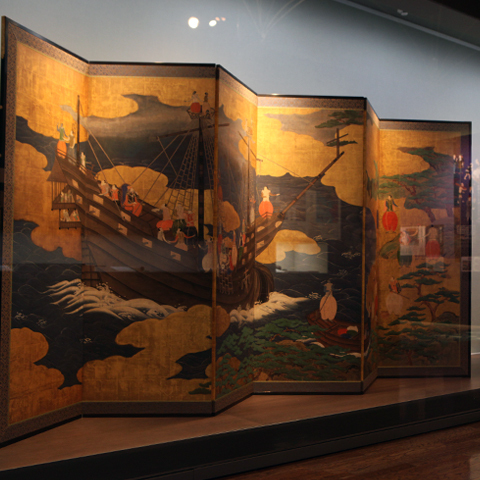 Discover the world of “Nanban byōbu”, folding screens depicting the arrival of Europeans in Japan, through exhibits on the opening of the port of Nagasaki, the red-seal ship trade, and the restrictions on foreign exchange. Highlights include Nanban art and the belongings of red-seal ship traders, as well as the relics excavated at Hara Castle, site of the Shimabara-Amakusa rebellion. Nagasaki was an important trading center, where products from all around the world were gathered. 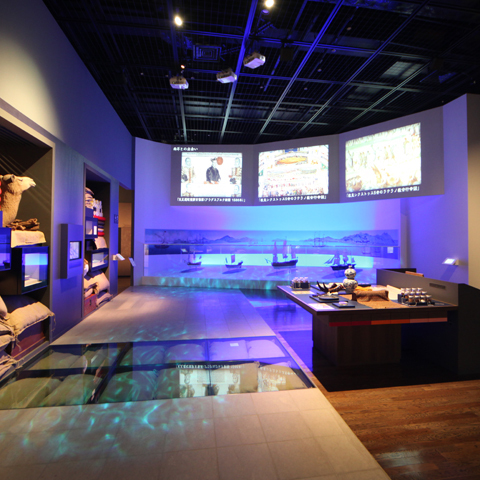 In the Experience Corner you can become a Mekiki, the official who examined imported goods, and you can achieve a better understanding of Nagasaki trade in the Edo period through touch, smell, and all the five senses. Don’t miss the models of the international ships that called at Nagasaki harbor, like Dutch vessels, Chinese junks and steamships. We introduce the cultural exchanges that occurred inside the Chinese temples and the Chinese Quarter. Painting and writing masterpieces by Ōbaku monks and Chinese literati are worthy of particular attention. 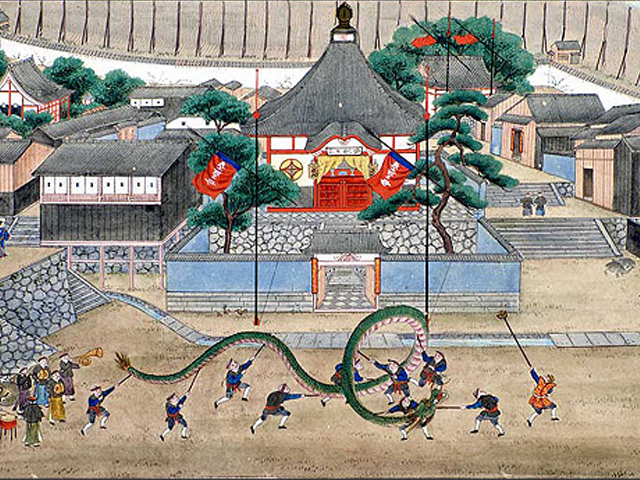 You can also deepen your understanding of aspects of Chinese culture, like the dragon dance, which continue to live on in Nagasaki. 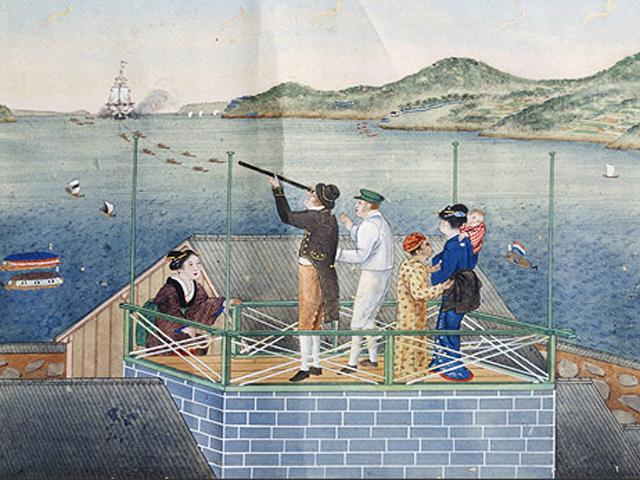 The prolific foreign exchanges that took place through Dejima affected various fields across Japanese society. 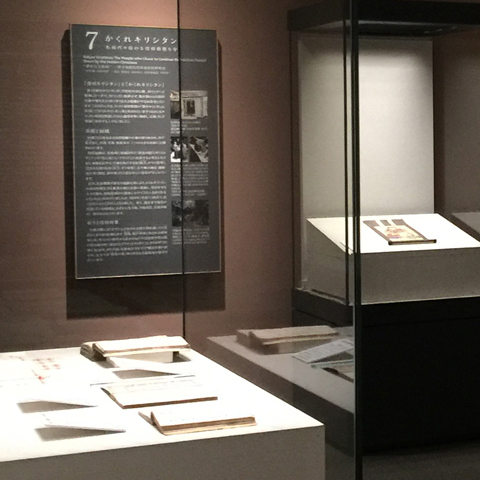 With standalone cases in the center, allowing a 360° view of the exhibits, and large wall cases, you can see precious documents that remain in Nagasaki, such as Kawahara Keiga’s “The Life of a Japanese”, or Siebold’s surgical instruments. Get to know Nagasaki’s city structure, through sources such as the “Folding screens depicting Nagasaki in the Kanbun Era”, the “Map of Nagasaki’s wards”, and so on. Analyzing these documents, the vivid life of townspeople and the distinguishing features of the city come to light. A great number of students from all over the country came to Nagasaki, the “city of learning” of the Edo period. Nagasaki was the origin point of many fashion trends: here we present the masterpieces of Nagasaki arts and crafts, focusing on the theme of exoticism. With our touchscreen devices you can enjoy 360° views of the exhibits, and fully appreciate the appeal of our collection. Special exhibitions on different topics are regularly held in the Arts Exhibition Room. During the last years of the Edo era and the beginning of the Meiji period, Nagasaki continued to be the place where the latest knowledge and technology, and information from abroad, were gathered. 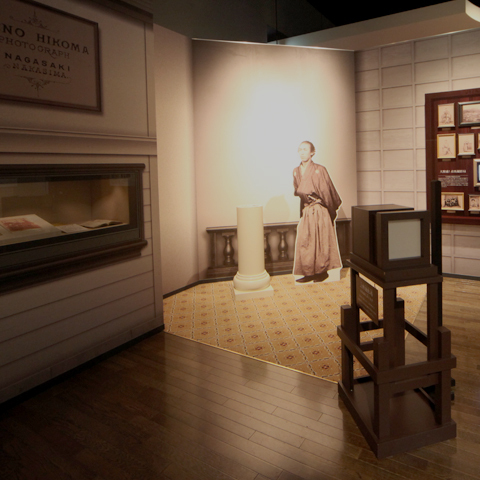 With the reproduction of Ueno Hikoma’s photo studio, and an introduction to typesetting and to the transmission of Morse code for international communications, you can have a taste of the atmosphere of those times. The Nagasaki magistrate had wide-ranging responsibilities, involving administration, justice, diplomacy, trade, overall military affairs, and the control of Christianity and smuggling. 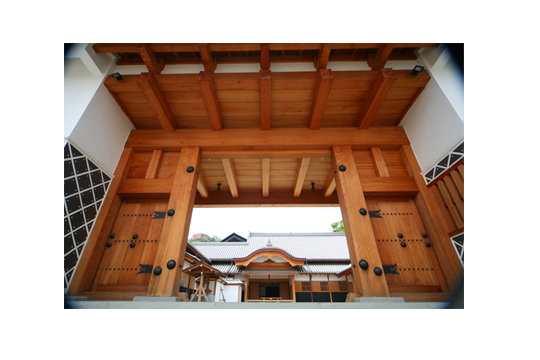 Here we introduce those duties.The room where Nagasaki magistrates received feudal lords and other visitors has been restored all the way up to the toilet in the veranda, to let you experience its original atmosphere. In the oshirasu, the court of law of the Edo period, cases tried by the Nagasaki magistrate are reenacted with short costume dramas. Fumi-e (tablets with Christian images to be trampled on) were one of the measures used by Nagasaki magistrates in their persecution of Christian believers. Also on display are the Madonna of the Thumb, which was in possession of the Italian missionary Sidotti in 1708, and other religious objects, which had been placed in a dedicated storehouse in the Nagasaki Magistrate’s Office (now in the Tokyo National Museum Collection). The history of Nagasaki’s overseas exchanges all in one place! 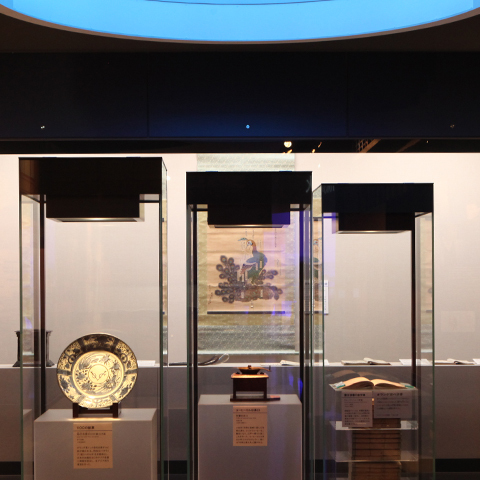 The Nagasaki Museum of History and Culture boasts a collection of 81,000 items, from precious historical materials to artworks and ancient documents, all related to the history of Japan’s foreign exchanges. Kawahara Keiga worked as a personal painter for Siebold, the Dutch trading post’s physician. Many of his works were brought to Europe, and revealed Japan to the rest of the world. Keiga’s paintings reproduce realistically Japan’s landscapes and daily life, flora and so on. In the middle of the Edo period, Nagasaki embroidery developed under the name “Chinese-style embroidery”. 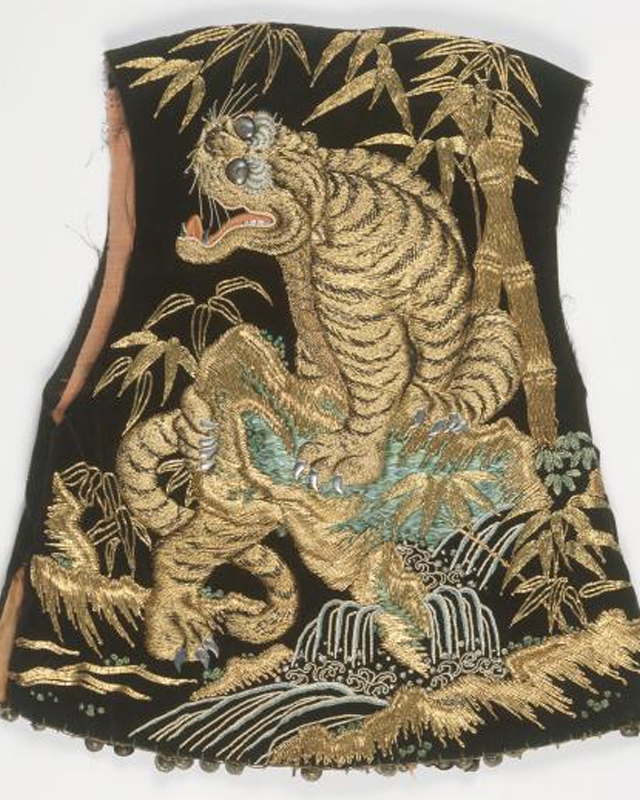 Based on the techniques of Chinese embroidery introduced by Chinese people, it started with Chinese-style designs making use of gold and silver thread, but it gradually evolved into a unique craft, with Nagasaki artists providing preliminary sketches of animals and fish. Today, the embroidered costumes and kasaboko used in the great festival of Suwa Shrine, the Nagasaki Kunchi, are widely known. During the Edo period, different artistic styles came into fashion in Nagasaki: Ōbaku painting, Chinese painting, Shin Nanpin school, literati painting, and Western-style painting. These formed the so-called “Nagasaki school”, which breathed new life in Japan’s contemporary art world and significantly influenced it. 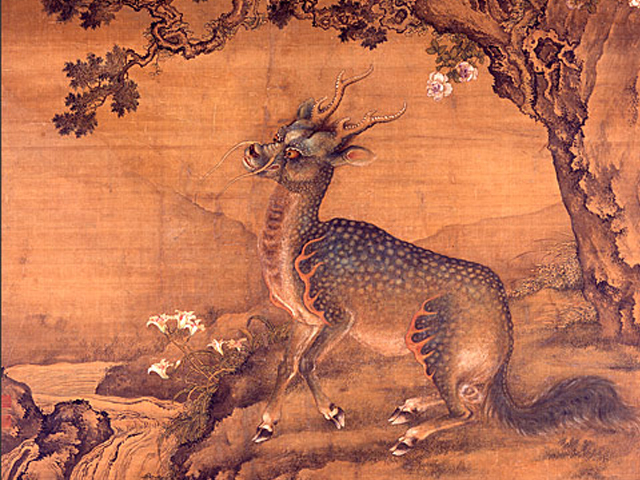 This picture of a kirin is a masterpiece showing a grand and imposing style. Shin Nanpin’s realistic and colorful paintings were also appreciated by the shogun and by daimyos. 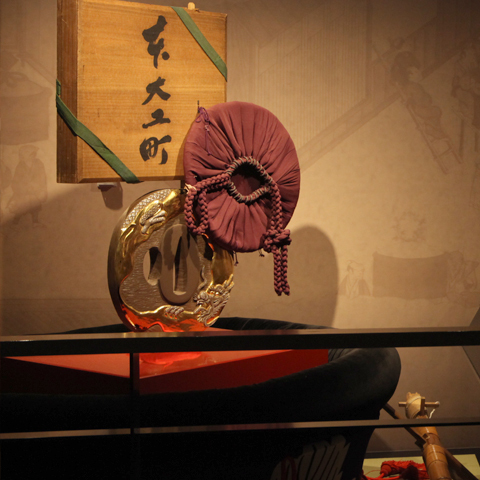 This item is said to have been a gift to the lord of Isahaya from Siebold. 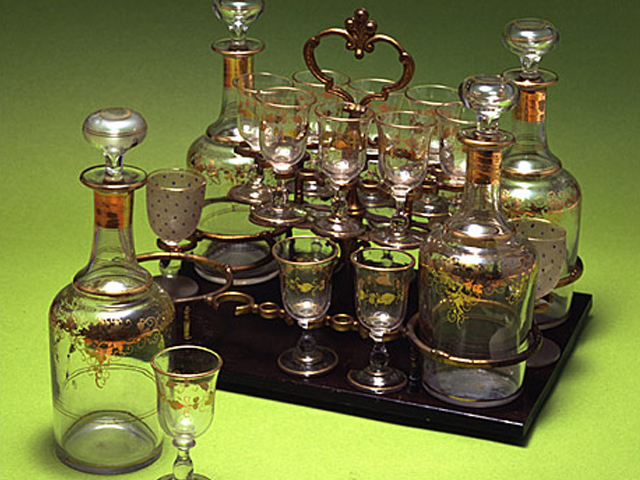 Glass was called “bidoro” and “giyaman” in Japan, and was highly prized. At the time, other than glass, porcelain, calico, gilded leather and other goods brought by Dutch and Chinese ships charmed Japanese people with their exoticism. 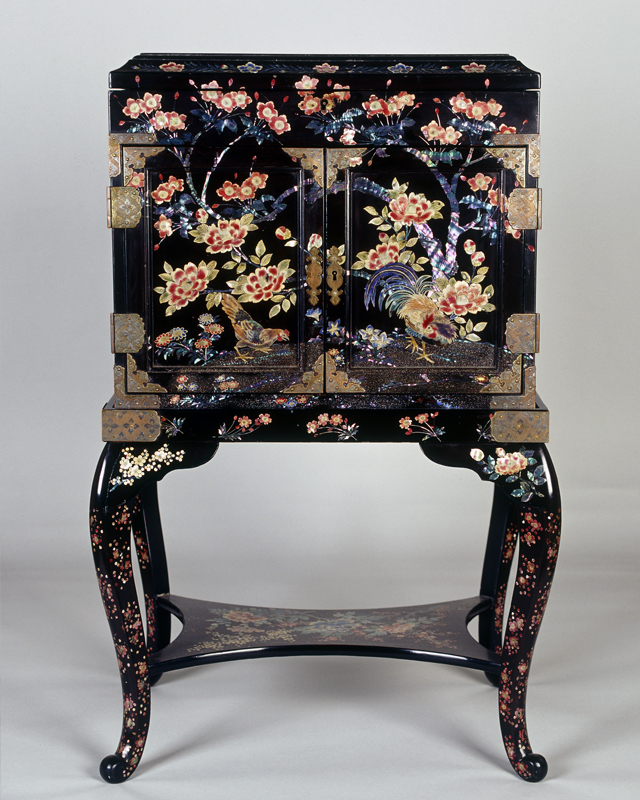 Japanese lacquerware and ceramics were exported from Nagasaki in large quantities. These objects charmed European people with their orientalism, and were treasured by royalty and nobility as status symbols. During the Edo period, Nagasaki was under the direct control of the shogun, who administered it appointing a Nagasaki magistrate. 127 generations have left their mark in this office. 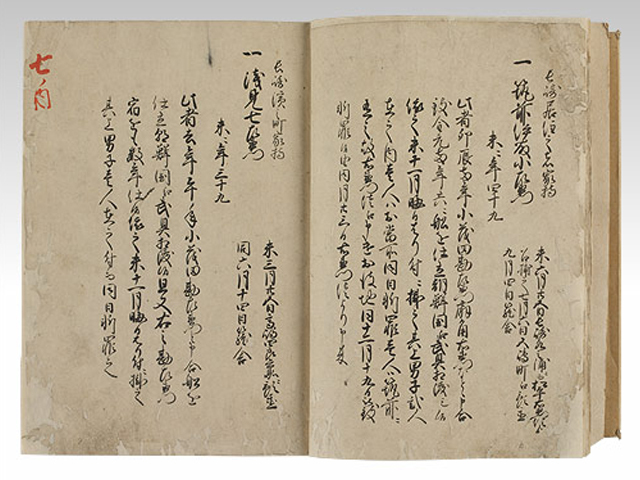 Our Museum owns precious historical documents, found only in Nagasaki, telling the story of overseas exchange, including the Hankachō, or records of criminal judgements, such as smuggling cases and so on, spanning 200 years, and the Dutch-Japan Treaty of 1856 (nationally-recognized important cultural property). From JR Nagasaki station, 10 minutes’ walk in direction of Sakuramachi. From JR Nagasaki station (the bus stop in front of Family Mart), get on a Kenei bus (Kazagashiramachi–Yumesaito line) and get off at “Nagasaki Museum of History and Culture”. 5 minutes’ walk from “Sakuramachi” stop. 10 minutes’ walk in direction of Sakuramachi from “Nagasaki Eki Mae” stop. 10 minutes’ walk in direction of Sakuramachi Elementary School from “Shimin Kaikan”. Nagasaki bus: 3 minutes’ walk from “Sakuramachi Koen Mae” bus stop. Kenei bus (Kazagashiramachi–Yumesaito line): get off at “Museum of History and Culture”. 2019 © Nagasaki Museum of History and Culture All Rights Reserved.